Would You Buy a Mattress on the Internet? The convenience and ease of ordering your next mattress online may mean farewell to the ritual of lying on a dozen different mattresses at three different showrooms. It would be an exaggeration to state that mattress shopping provokes as much stress as, say, losing your job or getting a divorce. But if you’ve ever replaced a mattress, you know how utterly confusing, inexplicably time-consuming, and overall unpleasant the process can be. Why does it have to be so hard? Casper, a “sleep startup” less than one year old, seeks to do away with the many hassles involved with buying a mattress, simplifying the often trying process. The company’s methods are unusual: Unlike other manufacturers who offer a dizzying variety of options aimed at people with different budgets and sleeping preferences, Casper sells one model at an affordable price. Although the company does operate one showroom, in New York City, most customers make their purchase where mattresses have rarely been sold before: the Internet. Within days, your new mattress arrives at your door, compressed inside of a large box. The popular wisdom has always been to test a mattress before you buy it. 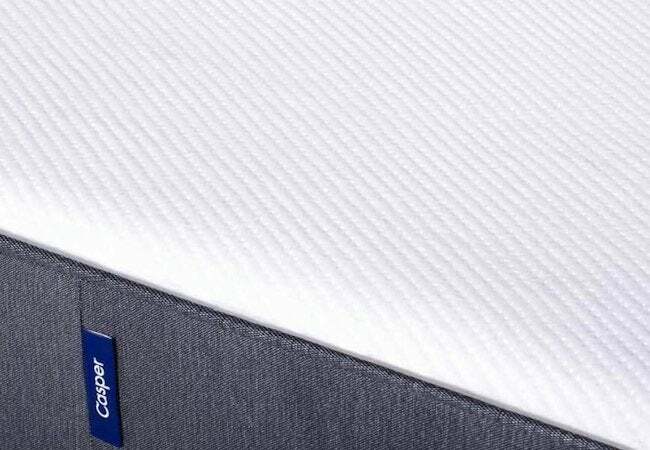 If you don’t happen to live near the Casper showroom (most customers don’t), you can still test the mattress, and not just for a few minutes, but for up to 100 nights in the comfort of your own bedroom. 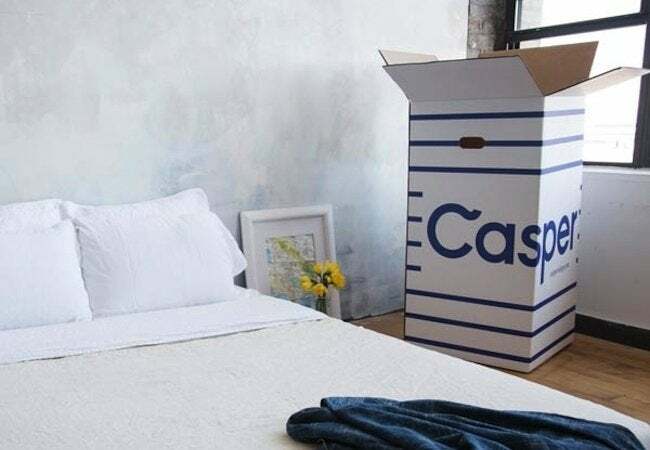 If you decide—after one night, two weeks, or even three months—that you want something different after all, Casper refunds your money in full and sends a courier to retrieve the mattress. So, as the company says, “even if you insist on shopping around, why not try Casper while you do it?” It’s hard to disagree, even if you have doubts about buying a mattress this way. 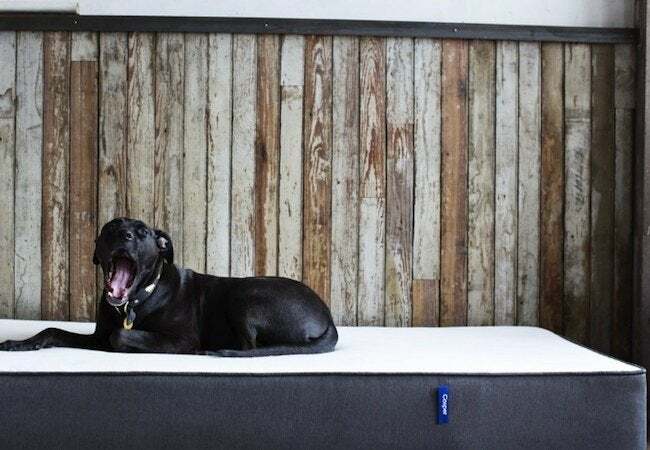 Casper believes that once you try its made-in-the-U.S.A. mattress, you won’t want to bid it farewell. Extensive research and development went into the product, and its design has been carefully tweaked to be comfortable for the greatest possible number of people. While the support layer is made of medium-firm memory foam—the stuff that made Tempur-Pedic a household name—there’s also a soft and springy comfort layer on top, composed of premium, nonallergenic latex. Through this combination of layers, the mattress achieves a happy medium. It’s bouncy, but not too bouncy. It’s enveloping, but not at all smothering. Pricing is simple: the twin size is $500; full is $750; queen is $850; and king is $950. And because foam mattresses do not need a box spring, there are no surprise hidden costs. Plus, Casper offers a 10-year full replacement limited warranty that covers any product shortcomings resulting from normal wear. For more information, visit Casper.